There are some things that founders and entrepreneurs shouldn’t say. I’m not talking about the career-damaging, politically-incorrect or lawsuit-worthy statements that get someone in the news. I’m talking about the seemingly innocent falsehoods that have become ubiquitous at tech meetups and startup events around the globe. It’s only natural to be optimistic about your business or glamorize the idea of doing your own company, but honesty can go a long way. 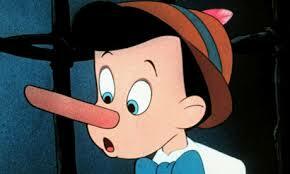 This post is about three lies that entrepreneurs tell, and how to avoid them. We’re totally crushing it…in every possible way. Reality: I’ve got some problems, but I don’t know who to talk to. No, you just fired five people at your company because you grew too fast in anticipation of future sales. Oh, and that huge deal you’re about to close? You’ve been hacking at that bad boy for the last nine months and still can’t get it across the line. When you’re doing your own company, there’s a pressure to project an air of positivity and success to the world. People expect it. It’s the same pressure you feel when you talk with your employees, your prospective clients, your investors, and even with the random people that you meet at events. But the reality is that there are problems. Lots of them. When you say that everything’s great, you miss out on the opportunity to get help and support. If you don’t have a sounding board and you don’t know who to turn to, you’ll quickly find yourself in a very lonely place. We’ve heard many stories about the consequences of this – some founders quit their companies, and some have even been pushed to suicide. Not everyone needs to hear about your difficulties, and that’s why you should always have a few confidants you can call on. Keeping a good psyche is as important as any of the tasks on your plate. If your head isn’t in the right place, you’re going to make poor decisions that damage your professional relationships. As you select your mentors or confidants, you should try to find people that aren’t directly connected to your company. I say this because a mentor/confidant that’s an investor, board member, or advisor isn’t going to be as objective with you, and it’ll be hard to talk through your concerns. You might want to consider talking with other entrepreneurs in the community, especially those that have gone through similar situations. Next time you speak with another entrepreneur, feel free to let your guard down a little bit. You don’t need to share the details of you last HR fiasco, but you can always speak to broad obstacles you’re facing. You might be surprised at the help you get. Trouble finding good product leadership? Debating your latest marketing strategy? Chances are that a fellow founder is going through the same challenges, or just recently resolved them. My company’s so successful…didn’t you hear how much money we raised? Reality: Our valuation is probably too high OR I gave away too much of my company. Fundraising announcements are becoming the latest brand of entertainment, and tech pubs like TechCrunch and VentureBeat are certainly perpetuating the trend. Nowadays, people talk about funding announcements like their favorite artist just released a new record. The person who just said that is an idiot. Funding gives a business the opportunity to continue operations, a noteworthy achievement, but certainly nothing that deserves the hype and press that it gets. There’s definitely a pressure to raise a big round of funding to prove the value of your company, but that’s a flawed perception. Just because you raised $20MM doesn’t mean that your company is suddenly successful. Put another way, your raise means that somebody believes in your business’ potential to live up to the valuation they’ve given you. Your pre-revenue start-up is not worth $10MM even if an investor is willing to give you that valuation. Too many founders find themselves feeling pressured to raise large sums of money at high valuations, only to set a bar that’s too high for them to achieve. Sure, an investor might be willing to give you a post-money valuation of $20MM, but ask yourself if that honestly makes sense. I’d encourage entrepreneurs to take a hard look at why they’re raising money, and raise as little as possible (with a cushion). How much capital would you need to get cash-flow positive? If you only need $2MM to get to profitability, then why are you seeking 6? Looking at a fundraise as a marketing/press opportunity is flawed. Don’t be the sucker that sells away his company because that’s what people tell him to do. I do this because I love being my own boss. Reality: I have more bosses than you could imagine. If you’re doing the startup thing because you think you’re going to be your own boss, then I’ve got bad news for you. The reality is that you’re going to answer to more people than you would in a traditional, corporate gig. Ok, so maybe you don’t have a direct supervisor that’s writing your quarterly performance review, but that doesn’t mean you won’t have to answer to anyone. Unless you self-funded your company and have 100% ownership, you’ll still have a board and investors who’ll have their opinions about what you need to be doing. Even the badass that manages to keep 100% of his company will still need to answer to his customers, as well as his employees. If you don’t think that customers are your bosses, then you’re doing the wrong thing. Quit. Do something else. Managing a handful of opinionated bosses is actually one of the most challenging aspects of being an entrepreneur. Unlike the traditional corporate job, where you only have to manage the expectations of one person, the founder finds himself in a situation where he has to constantly juggle relationships with a growing number of people. Your board really wants you to start building a new product release, but your customers are already telling you that they don’t want it. One of your most vocal investors is pushing you to focus on a new strategy, but your team doesn’t have the resources or data to support it. Your best customer is asking you to build out a new feature, which is a total departure from what you’ve planned for the next three months. Basically, you need to get used to telling your bosses no…a lot. Your investors and customers are going to have a lot of ideas, but they won’t have the knowledge of the business that you do. If you chase down every scatter-brained idea that your bosses have, you’ll quickly find yourself out of business. Take feedback, but don’t set the tone that you’ll do everything you’re told. And next time an aspiring entrepreneur asks you what it’s like to work for yourself, please keep it real. Every day, it seems like there’s a new article listing the best startup cities. Almost all entrepreneurs want to believe their city is the best. This one goes out to the bootstrappers and air-mattress-sleeping hustlers that have been considering setting up in Austin. I met my co-founder at Stanford, and we still decided to start our company in Austin. We‘ve been consistently asked about this decision in meetings and we even lost funding opportunities because investors in the Bay wanted to be closer to their companies. Although we had expected a bit of pushback, we still thought it was a good decision to make the move. Our company would be in the retail technology space, and Austin had a history of success (BazaarVoice, RetailMeNot, and more). We also wanted to extend our runway by keeping costs low. Grocery bills were cut in half. My co-founder and I found a huge house where we were paying about a third of the rent of a comparable place in San Francisco. As a bootstrapper, housing and groceries are your biggest expenses; limiting them gives you more time to show traction for your company. Maybe it was because it’s an up-and-coming startup scene, or maybe it’s the good ol’ southern hospitality—either way, there’s an unspoken interest in supporting other Austin startups and trying to help however you can. If you’re doing a startup then you’ve got family in Austin. It’s easy to meet other entrepreneurs that are going through similar circumstances, and everyone’s happy to make an introduction to a friend or acquaintance that genuinely wants you to succeed—this was the greatest benefit to us in the early days. #3 – Where’s the money at? – It matters. My biggest critique of Austin is the lack of access to capital. There are some individual, angel investors in the city that are looking to fund companies, and even an angel network, but not nearly at the scale of the bay area or even New York. There are many companies that have raised a seed round in Austin, but fundraising becomes increasingly difficult after that point. With the recent death of Austin Ventures, there are even fewer opportunities for entrepreneurs to fundraise in the city. Yes, there are smaller firms like Silverton (Sparefoot, WPEngine, Favor), S3 Ventures (Phunware, Invodo), and LiveOak (started by former Austin Ventures partners), but we’re not talking about large funds that can make big bets. I’ll admit that there are new funds popping up like BuildGroup Management, a firm started by former Rackspace execs, and non-Austin firms like the Mercury Fund have been involved with some deals in the city, but that’s pretty much it. Yes, in less than a paragraph, I’ve completely summarized the investor community in the city of Austin. So what does that mean for an entrepreneur? You’ll have to seriously consider looking outside of the city to get the capital that you need. For better or worse, the fundraising scene in Austin is staunchly focused on companies that can show strong revenue or traction. It’s a two-sided coin. On one hand, these investments are less risky, and these businesses have clearly answered the most important question: how do you make money? On the other hand, revenue growth is not the right investment thesis for capital intensive or billion-dollar, ‘change the world’ companies. There’s a large set of startups that could never fundraise in Austin. And some of those startups may look just like Facebook did. Austin is a small town. This is the drawback to the ‘close community’ I spoke of earlier. Nobody has a problem pulling developer #23745 from IBM. But what do you do when a superstar engineer from your friend’s company asks you for a job? It’s even more difficult when you know that stealing his CTO is pretty much going to guarantee that he won’t be able to raise another round. Recruiting is a full contact sport and you’re playing against your family. But you have no choice. You have a fiduciary responsibility to your company. That engineer should have a choice, and it’s his right to look for new opportunities if he isn’t happy. Word travels very fast in the community—startup gossip isn’t unique to Austin, but it’s particularly threatening when there are fewer companies, not to mention that recruiters are like vultures, primed to find a business in crisis to focus their outreach (I’ll discuss this in greater detail in a future post). Would I start another company in Austin again? It depends – I probably would if I were planning to bootstrap and never fundraise, but if I wanted to build a consumer business or a company that was disrupting a market, then most likely, no. Austin is a promising, up-and-coming scene with a fair share of opportunities, but until there’s more capital, companies will have to hold their breath.